I did my research on Yellow Fever. Other names it is called is yellow jack and "Saffron Scourge." Humans and monkeys commonly are affected. If you are traveling to the Sub-Saharan Africa or South America you may need to get the Yellow Fever vaccine a few weeks before traveling. There is really no treatment for Yellow Fever except for the vaccine before traveling to an area where this virus exists. If you contract Yellow Fever, you can get supportive care in the hospital where they can give you fluids and oxygen. They can also maintain your blood pressure. People may also receive transfusions of plasma to replace blood proteins that improve clotting. Some symptoms of Yellow Fever are: sensitivity to light, nausea, loss of appetite, dizziness, red eyes,headache, and muscle aches. You will not experience these symptoms until 3-6 days after you have contracted it. Once you have had Yellow Fever, you are immune for life. You are at risk of this disease if you traveled into an area where mosquitoes continue to carry Yellow Fever. The type of mosquito that carries this is Aedes aegypti. The organs that are affected by Yellow Fever are the kidneys and central nervous system. The prevention of Yellow Fever would be a highly effective vaccine. Avoid all outdoor activity where mosquitoes are most active. Make sure you wear long sleeves and long pants. 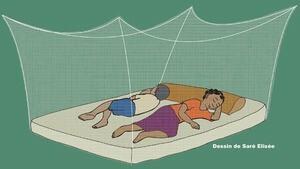 Stay inside well screened housing and make sure to use bed nets to keep all mosquitoes out. You can also use non-skin repellent that you can use on your clothes and shoes but not your skin. You can also use skin repellent which is used on your skin but can be very toxic. The first report of Yellow Fever was in Yucatan, Mexico in 1648. According to a description of the illness was seen among people who were transporting slaves, The skin would turn from flush to yellow or light brown. The spread of Yellow Fever was a mystery until the late 1800s. Yellow fever seems to be in areas where Malaria is also high. It did not appear to be spread from person to person. It was thought to spread through water vapors or contact with water. This was believed because they thought this disease was common around bodies of water. This would be accurate because mosquitoes breed in water. 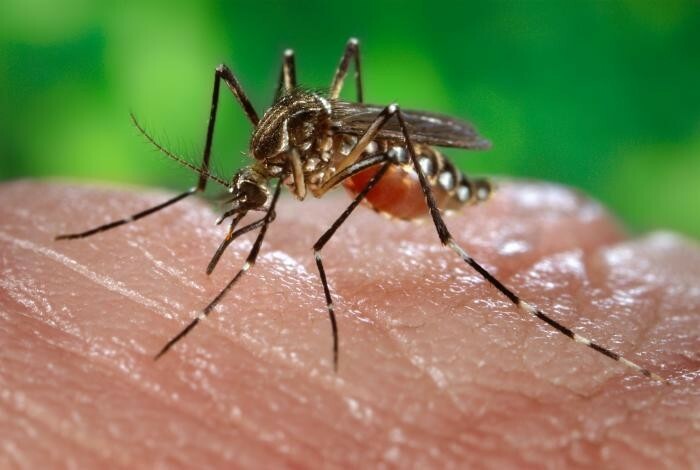 The Aedes aegypti mosquito spreads yellow fever. Bug Spray. Digital image. CDC. CDC. Web. 15 Dec. 2014. Mosquito nets. Digital image. Friends of African Village Library. FAVL. Web. 15 Dec. 2014. Mosquitos. Digital image. CDC. CDC. Web. 15 Dec. 2014. "Yellow Fever." Mayo Clinic. Mayo Clinic, 20 Aug. 2014. Web. 2 Dec. 2014.